The most mundane businesses can exemplify high creativity. A plumber dispatches immaculately clean trucks, with crisply uniformed technicians (plumbers) who don booties before entering your house. Two hours earlier you called them – or maybe you visited their website. Your choice. After briefly describing your problem and giving them your location, you provided them with your cell phone so they could text you 30 minutes before their arrival. The experience infuriates you. Not at the plumber, but at all the other service providers who neglect this level of creativity. Your TV service provider. Your Internet provider. They all may as well arrive in a covered wagon compared to this plumber because they are so inept at being creative. What’s the difference? What are the limitations of creativity? I first learned creativity in business as a teenage hi-fi salesman. You may not think of it as creativity, but I knew firsthand the power of it. A shopper enters the store looking for a pair of loudspeakers. We visit and I find out the type of music they love. “What’s your favorite record?” I ask. They tell me. I sit them down in a sound room – back when we had hi-fi stores and sound rooms – as I fetch their favorite record. I handle it as though it were a gem, because it is. To them. I carefully place the record on the turntable, manually clean it and gently lower the stylus into the groove. Then I turn up the volume, slightly higher than most people are used to. I say nothing. This experience – their favorite record coupled with a system unlike anything they’ve heard before – is captivating. Enthralling. First, it’s in the thought process that compelled me to develop this simple process. Creativity is lost because of mindlessness. People act without thinking. Salespeople do it. Engineers do it. Accountants do it. Attorneys do it. Everybody does it ever now and again. Some more than others. Rote procedures foil creativity because we don’t think about “tricking it up.” Or we don’t think it needs to be tricked up. Why change? Why not change? I prefer to insert the word “improve” where others like the word “change.” That act of creativity changes everything because now the focus isn’t on simply changing for whatever reason, but it’s on improving. Who doesn’t want improvement? Next, the creativity was in asking the shopper about their favorite record. Back in the 70’s when I was on a hi-fi sales floor nearly all the salespeople had their favorite tracks on records. Tracks they felt could really show off what a system could do. I was into music. I knew music was emotional. I knew songs were personal because everybody I knew – including myself – had certain feelings when specific songs were played. By asking, “What’s your favorite record?” I knew I’d get an honest answer. Come on, it’s a hi-fi store! Nobody ever said, “Well, I don’t know. I don’t really have a favorite record.” Everybody who came in had a favorite record. The creativity was in my focus on their experience, not my own. It didn’t matter if I hated their favorite record. When the store was empty I could play whatever I wanted, but this was their moment. While I was looking for the record I’d engage them and find out why this was their favorite record. People love to tell the stories of the music in their life. Songs and albums have meaning to people – they did in the 70’s for sure. Everybody loved to talk about their favorite music. I gave them an opportunity to talk out loud about it. It also gave me some insight about the music in their life. Heavy rock fans loved lots of bass. 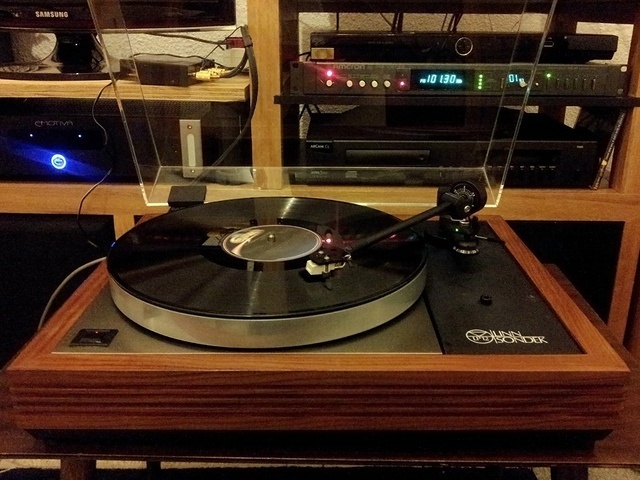 Classical music lovers loved a more flat sound. That gave me insight about not only what products to show them, but how to adjust any system I played for them. There was also creativity in the presentation of the music. It started the moment I removed the vinyl from the album sleeve. I never touched anything other the very edges of the album with my outstretched palms or fingertips. Yes, it had technical merits of keeping the oil of your skin off the vinyl, but it also showed the average shopper who likely didn’t handle their vinyl properly…how to do it right! It was part presentation, part education. Cleaning the record served the same 2 purposes, along with making sure the record was as clean as possible for the best sound. Besides, it gave me an opportunity to educate customers in proper record care while allowing me to sell them an accessory that would protect their record investment. The whole thing was genuine and intentional. It all served a purpose other than to put on a show. The value provided was real and authentic. In the end, a memorable experience was the goal. Creativity is lost in the sea of averageness. Stealing ideas. Copycatting. Following the template created by others. Following the leader. They’re all the crap of lost creativity. Creativity may be lost – in part – due to the fear of leadership. Maybe leaders are afraid to open up a can of worms by asking the questions creativity demands. Maybe they’re afraid nothing else will work as well as the status quo. Maybe they’re afraid the front line people will have an idea better than theirs. Creativity may be lost due to distraction. We’re not improving things because we’re not paying attention to the right things at the right time. Todd Pedersen, CEO and Founder of Vivint, Inc. was recently featured on CBS’ Undercover Boss. Part of his undercover work involved spending time in the call center where he discovered the equipment was dreadful. Call center employees couldn’t even hear all the customers calling in. Oh, by the way, Vivint is a home security company! Being able to communicate with customers on the phone is critical. He had no idea the equipment was a problem until he went undercover. So it goes. Creativity gives way to the ordinary, everyday activities that never seem to unearth the real problems that stymie our success. It’s the vast marketing budget and activities of companies like DirecTV when customers would be absolutely dazzled with simplified pricing. Or a better customer experience when they encounter a problem. It’s the small, no account budget of a solopreneur who gets VistaPrint business cards, but can’t embrace enough weirdness to use them in a creative way. Big business. Small business. We all suffer the loss of creativity…sometimes. Some of us are chronic sufferers. Time to find it again. Or for the first time. Forget what others are doing. Forget what you’re currently doing. Just hit the PAUSE button. I’m not saying to stop doing business. It’s more mental than physical. Well, it can be. Stop doing what you’ve always done simply because you’re assuming it’s working well enough. Stop thinking all is well. Stop thinking there are no better ways. Stop living in complacency. Stop being satisfied. Stop thinking things will never be better. Or stop thinking things will always be terrific. Stop. Questions are your friends when it comes to embracing creativity. Ask questions. Lots of questions. Ask every question you can think of. The obvious ones. The not-so-obvious ones. And all the ones in between. Then answer them. Get your team together. Wrestle them down. Take whatever time is necessary to find the best answers to your best questions. Step 3 – Be Fearless. Try things. Creativity guarantees only one thing – the prospect of failure. You can’t let that outweigh the prospect of wild success. Or even moderate success. What if it fails? I’m not saying risk the whole company on one wild idea, but if you insist on a culture of playing it safe you’ll wind up broke and out of business. Radio Shack is dying. They were once a Ft. Worth, Texas institution. Not any more. They lost their way, but they join a long list of consumer electronics titans that are now gone. If you tell me creativity is risky I’ll argue not having it is far riskier! 3M launched the product as “Press ‘n Peel” in stores in four cities in 1977, but results were disappointing. A year later 3M instead issued free samples directly to consumers in Boise, Idaho, with 94 percent of those who tried them indicating they would buy the product. On April 6, 1980, “Press ‘n Peel” was re-introduced in US stores as “Post-It Notes”. The following year they were launched in Canada and Europe. In 2003, the company came out with “Post-it Brand Super Sticky Notes”, with a stronger glue that adheres better to vertical and non-smooth surfaces. Until 3M’s patent expired in the 1990s, post-it type notes were produced only in the company’s plant in Cynthiana, Kentucky. Try nothing and you’re sure to fail. Try something new – something creative – and you’re certain to learn something. And it must might work the first time out. If not, you’ll have something to work with, something you can then try to refine and improve. Step 4 – Don’t Retreat. Working up the courage to be fearless at first is one thing. Maintaining the courage is harder. Some lessons are so costly they’re priceless. I used to hear horror stories of retail buyers who made colossally poor decisions. Every now and again you’d hear somebody remark that the buyer wasn’t fired because the executives in charge felt it was such an expensive lesson they couldn’t afford to terminate the guy. Those stories made sense to me, even if they were somewhat fictionalized. I mean, if a guy bought something for say $150,000 and the rate of sale was so poor that the margins were a negative number, resulting in a net loss of $100,000 — it seems sensible to me to view the buyer as now having had a $100K lesson. Sure, it assumes he’s competent and capable and just tried something that didn’t work out very well. How do you suppose he’ll vet the next buying opportunity? More carefully perhaps. But he could also be subjected to his own loss of courage. If that mistakes creates a new tentative nature, he’ll be fired for sure. Courage in the face of failure has to be maintained and fostered. Winners don’t retreat. They regroup and come back. Step 5 – Celebrate The Process. 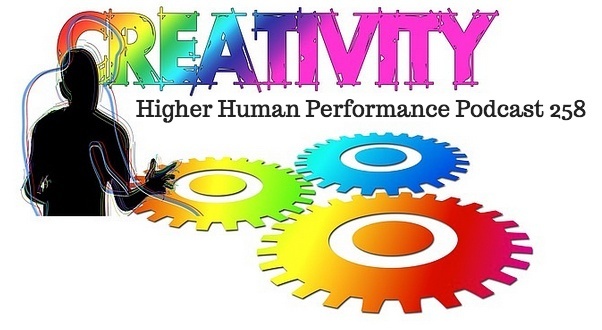 If creativity isn’t part of your organization’s culture it’s likely because the price tag is deemed too high to pay. People are afraid to be creative because leadership values the status quo too much. Or they value the safe outcome too much to innovate. Creativity is a process, not an outcome. Everybody wants to celebrate the successful outcome. That’s easy. But that’s not where creativity’s magic is found. It’s in the process of being creative. Celebrate that and you’ll stand out from the crowd. When your team rolls the dice on a well-crafted creative plan celebrate it. Do it before you even know if it works. Do it even if it fails. Do it if it works. Foster more creativity by making sure the team knows you value the process. It’s that process that’ll help you achieve new heights of accomplishment. It’s the fuel for your team to rise above the fray, too. The same excitement I saw in the shopper hearing the details of their favorite record for the first time on a stereo system unlike anything they’d heard before is the same excitement I see in team members lead by a person who loves creativity. They’re alive and thrilled to do the work. It’s a unique experience they want to keep having over and over again. Give them the celebration of the process and watch them soar. Then you can sit back and take credit for having been the leader who made it all possible.